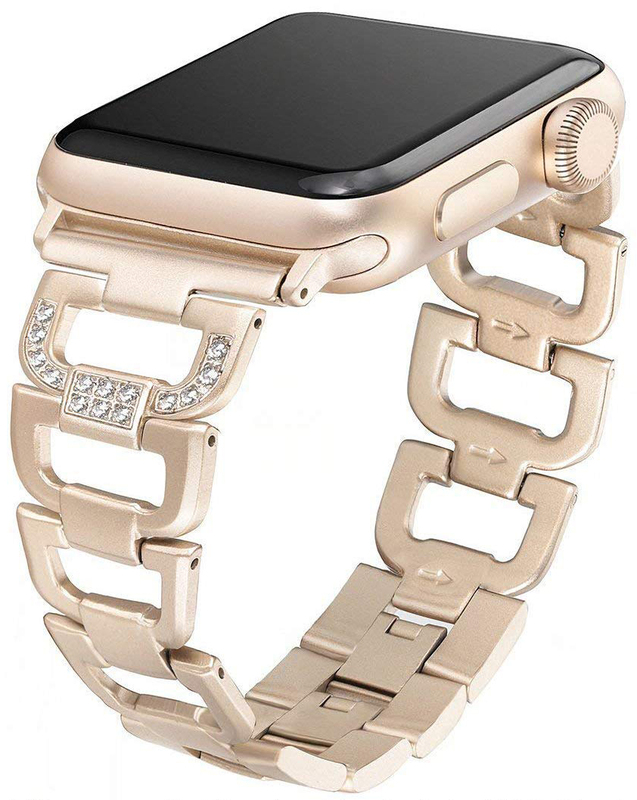 Your gorgeous Apple Watch was made to be accessorized, but if you've already dropped hundreds of dollars on the device itself, then there may not be much left over to buy Apple-made bands or some of the ridiculously priced Hermès bands. Check out these third-party options, keep the bank unbroken, and go forth in style! Note: All of these bands will fit every Apple Watch. Just be sure you pick the correct size (38mm/40mm, 42mm/44mm) before checkout. 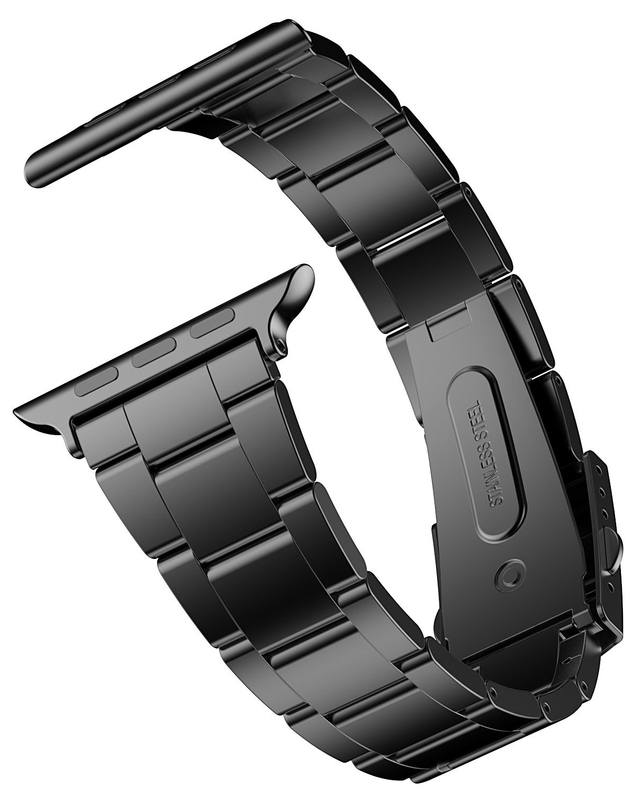 38mm bands fit the 40mm Apple Watch, and 42mm bands fit the 44mm watch. This leather band is gorgeous and features white stitching as an accent. The inside of the band is soft for comfort, and you find the band in either black or brown. For the 44mm and 42mm Apple Watches. If you like a leather band, but want something a bit outside the norm, then check out these inexpensive leather bands, which come in three colors and have extra holes so that they breathe and have a sportier look about them. These bands are fairly wide and thick, so if you're in it for comfort, these may be what you're after. With a soft inner lining, large holes, and great stitching, these bands go just as well with a T-shirt and jeans as they do with a suit and tie. If you like a more traditional, vintage look to your leather band, then check these out. They have a natural patina already, come in seven colors, and are comfy and sophisticated — great for all-day or evening wear. 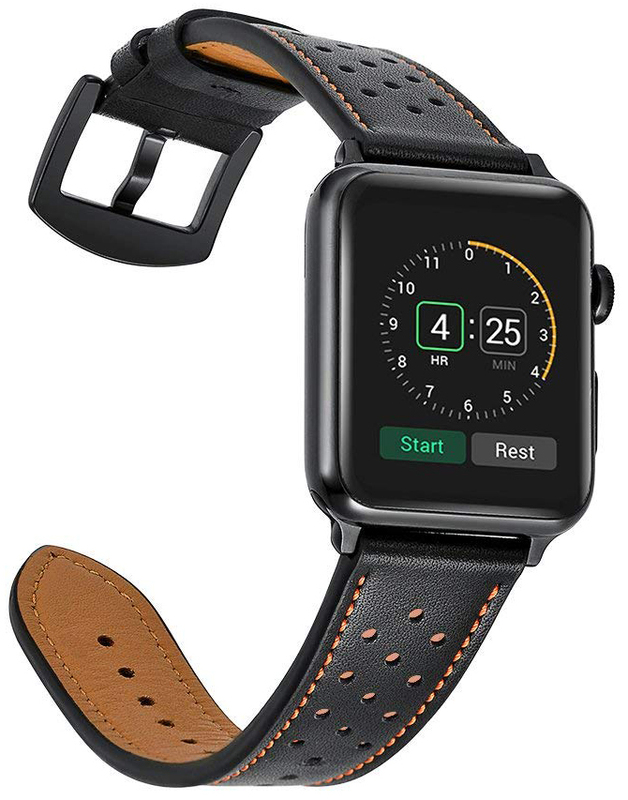 This leather band wraps around your wrist twice, making it look like you have a bracelet and your Apple Watch on. If you like a sort of cuff look, but want something more delicate, this is the band for you. There are seven colors to choose from. This band comes in many colors and has a Velcro hook and loop fastener instead of a traditional buckle, giving it a seamless look and making it super easy to put on and take off. Great for folks with skin that's sensitive to nickel. 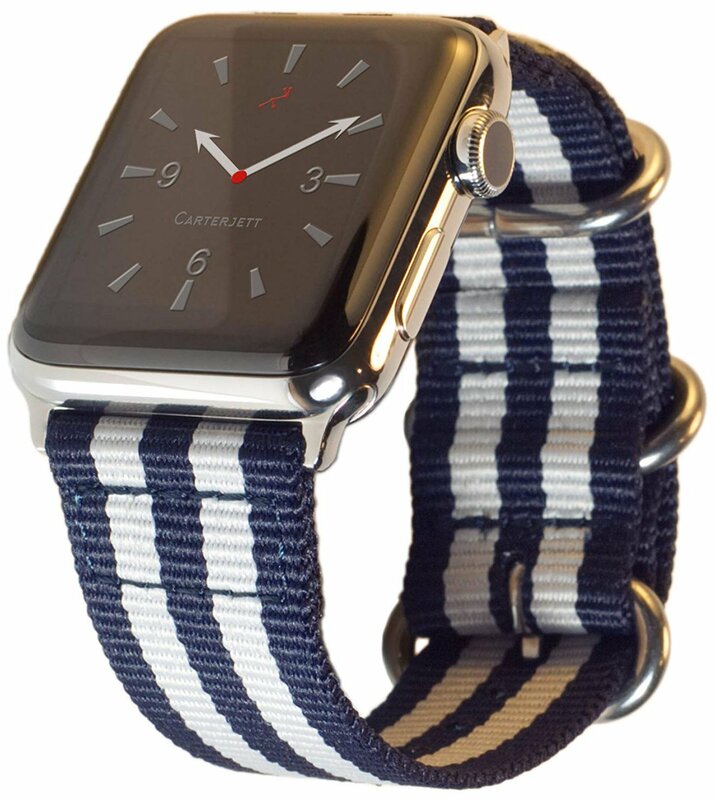 This comfortable woven nylon band features the durable and long-lasting NATO (G10) strap design, which has a buckle and is built for all-day wear. The connectors are black steel so that they blend in seamlessly. These bands have a Velcro closure and come in 34 colors. This is a flexible, comfortable band that's great for sport wear or just all-day wear at the office or on the town. Available for all Apple Watch sizes. 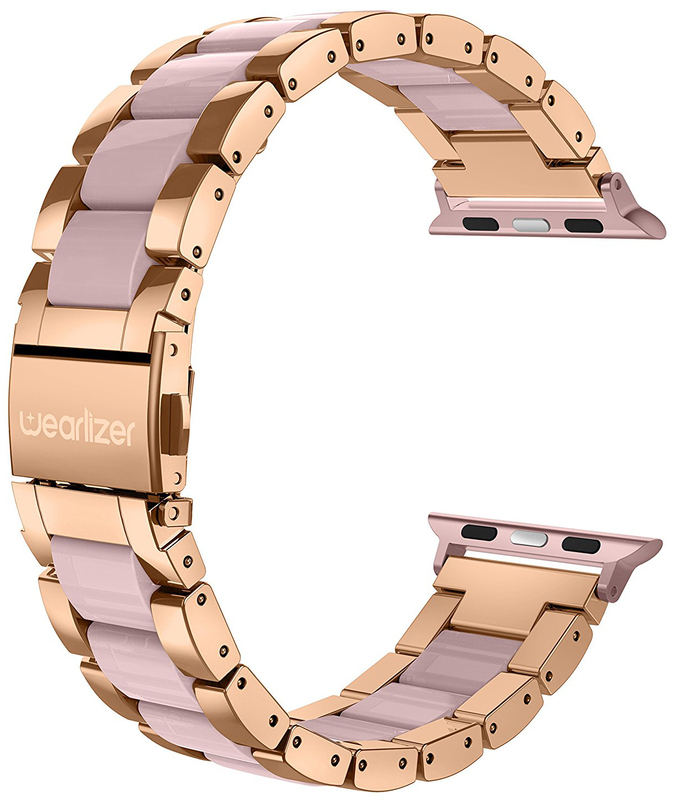 If you want a dressier band for your Apple Watch, this one's dynamite. It comes in black or silver, with a clasp closure that's easy to put on and take off. The best part is that you can remove links if it's a tad too big. Only available for the 42mm and 44mm Apple Watch. These stainless steel bands put a twist on the traditional metal link band with a strip of resin down the center as an accent. If you're looking for a metal band that makes more of a statement, then these are what you're looking for. Available for the 38mm and 40mm Apple Watches. If you're a big dude with big wrists or long arms, many regular watch bands can look tiny on you. These stainless steel bands, which come in space gray, are perfect for larger wrists, with big links and a push-button clasp. This stainless steel band has a bit of a different design than others – instead of links that are sort of separated into threes, the links on this band are solid, rounded rectangles, giving it a more streamlined look. Available for the 42mm and 44mm watches. For more of a pop, this band contains fake diamonds/rhinestones, with wider spaces in each link, available in silver, gold, black, and rose gold. It's the perfect dress band and matches well with the Apple Watch colors. Available for the 38mm and 40mm watches. If you like to switch up your band daily or just grow through them quickly, this eight-pack is perfect. 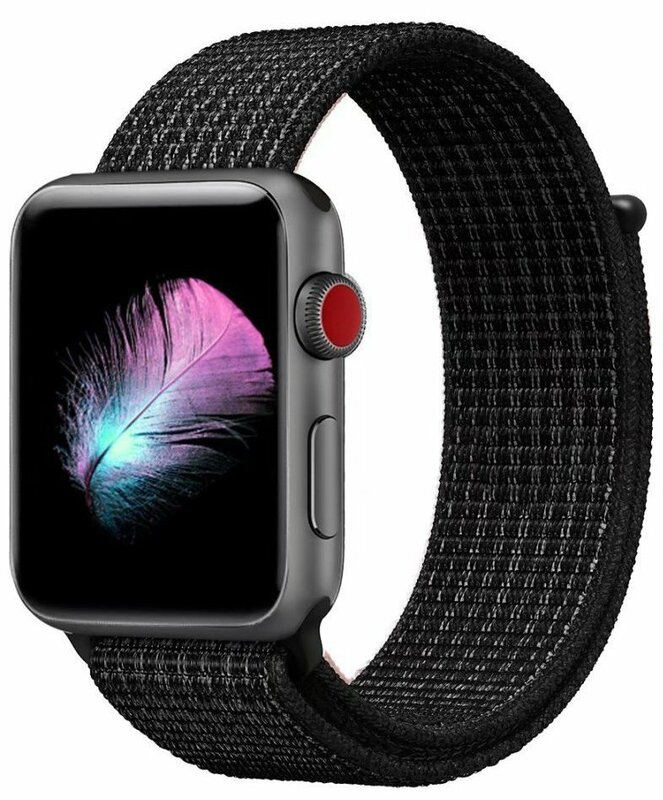 It features a closure that looks a bit different than Apple's, comes in sizes for all Apple Watches, has eight different colors, and works out to only $4 a band. 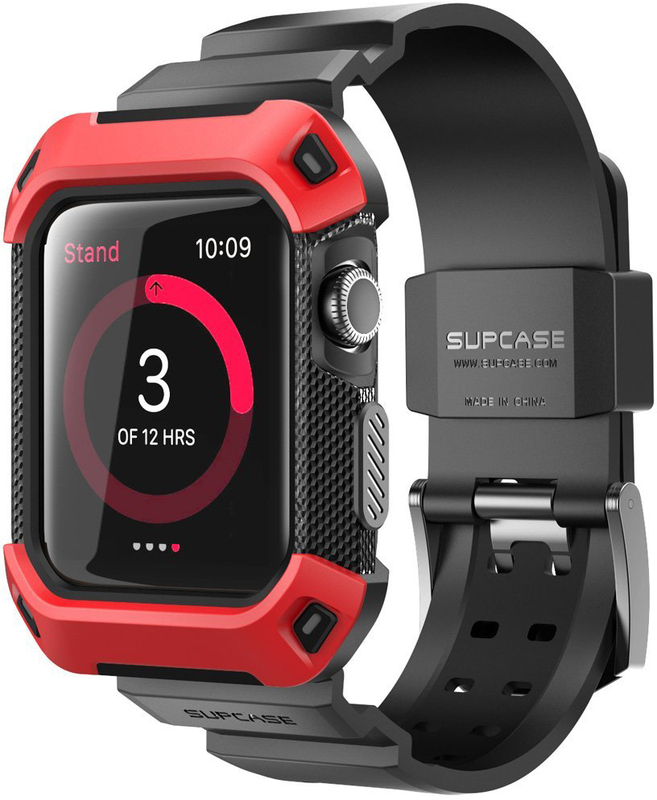 Supcase makes wonderfully protective cases for phones and the Apple Watch alike, and this case and band combo is made of sturdy silicone and hard plastic, protecting your Apple Watch from the elements, as well as bumps and scratches. There's no need to break the bank when it comes to excellent-looking Apple Watch bands, and for under $20, you have your choice of some wonderful silicone, leather, and metal options. There's a lot of value in third-party bands, and thanks to their low prices, you can grab a few and switch things up to match your style.